When your target market is 100 yards away and moving at 75 miles-an-hour, you want to make sure you make a statement. 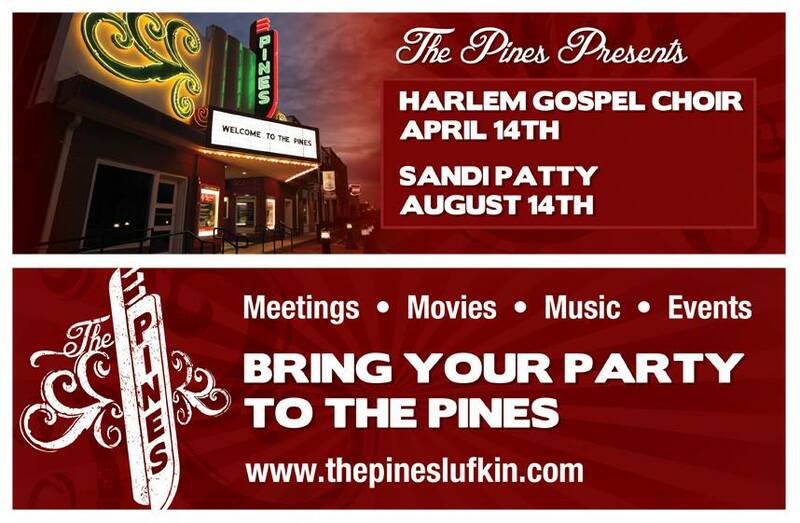 These billboards for The Pines Lufkin welcome folks to Visit Lufkin for meetings, movies, music and more. If you need a spectacular downtown venue for your next event, call 936-633-0527. The Pines Presents world-class entertainment like tonight's performance of Celtic Nights - direct from Ireland. Visit www.thepineslufkin.com for tickets to all of the exciting 2014 shows, including Germany's vocaldente - a cappella art, Harlem Gospel Choir, and "The Voice" Sandi Patty. 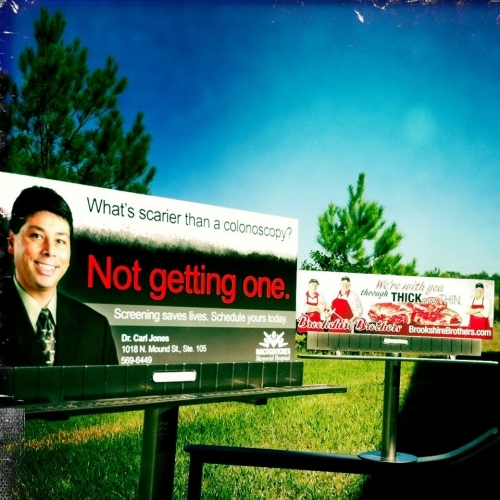 The Nacogdoches Health Partners brand shines in black and white and in color — from the logo to the paper system, to print and on billboards. As thousands of people Visit Nacogdoches for the annual Nacogdoches Azalea Trail, they'll be welcomed by a pair of beautiful billboards for The Bluffs at Mill Branch. 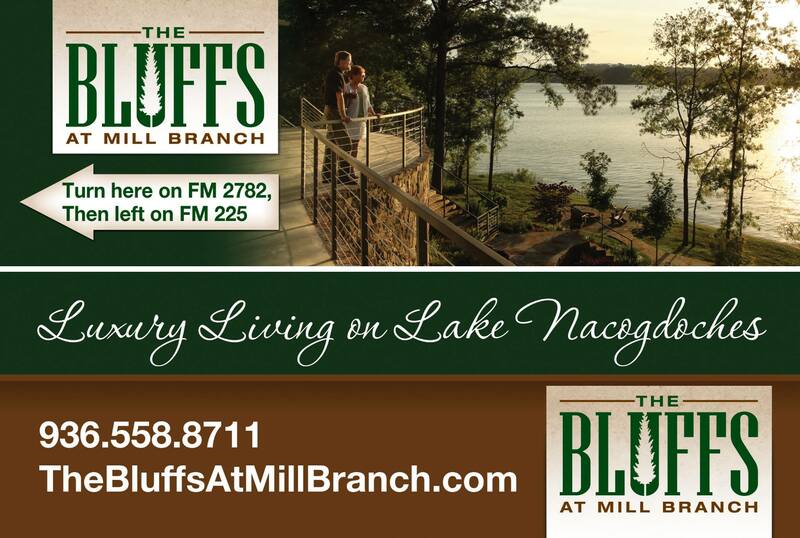 Spring is a great time to select your perfect homesite at The Bluffs at Mill Branch. As "The Garden Capital of Texas," Nacogdoches welcomes the season with bursts of color throughout town. Bryan Davis, M.D. is a proud sponsor of the Nacogdoches Jaycees Red Dirt Mud Run 5k Obstacle Challenge. This digital billboard helped him spread the word about the event. We can't help but enjoy our jobs, especially when we get to photograph darling babies with customized mobiles! What a sweet way to get the word out about caring for little teeth! If you are having chest pain, exhibiting stroke symptoms or are in need of immediate emergency care, head straight to Nacogdoches Memorial Hospital! This directional billboard leads the way. Say you did something really cool, and you wanted to brag about it for several stories? We can help! This banner showcases Nacogdoches Memorial Hospital's "Best of Nacogdoches" honors. Inviting snapshots welcome drivers on major highways to stop and stay a while in Nacogdoches. Fitting the right frames is fine art, that's why we created this custom illustration for Cataract, Glaucoma & Retina Consultants of East Texas' outdoor campaign. Nacogdoches Memorial Hospital's billboard campaign encourages people to schedule annual prostate cancer screenings today, because grandsons need grandpas. The campaign is extended on television and with billboards targeting a younger male demographic (because fathers need sons); and women for annual breast exams (because daughters need mothers).